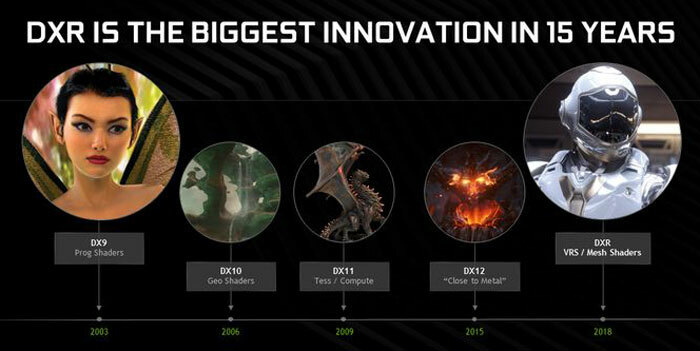 Nvidia's CEO Jensen Huang presented many innovations in a keynote speech at GDC yesterday evening. If you head on over to the Nvidia news blog you can find stories about accelerated data science, GPUs powering Amazon Web Services, machine learning, 3D design collaboration tools, robotics, and automotive. Thankfully there was some good news for PC gamers and enthusiasts too, especially to do with Nvidia's real-time raytracing technology being available on more GPUs, the integration of real-time raytracing into more game engines, the introduction of GameWorks RTX, and the announcement of more upcoming games featuring real-time ray tracing. HEXUS previously reported upon Unreal Engine 4.22 Preview 1's support for real-time raytracing. At GDC Nvidia reminded people that this release was already available with final release details due on Wednesday, at Epic's GDC keynote. Another popular game engine, Unity, will imminently announce raytracing features, revealed Nvidia, making adoption of the technology more widespread. Nvidia reminded conference-goers that first-party engines such as DICE/EA’s Frostbite Engine, Remedy Entertainment’s Northlight Engine and engines from Crystal Dynamics, Kingsoft, Netease and others, all support real-time raytracing. In April Nvidia will expand the "raytracing-capable GPU installed base to tens of millions". A new driver will support this rendering technique on GeForce GTX 1060 and better graphics cards. Nvidia admits that on these older Pascal GPUs, and on the new GTX16 series, raytraced effects will execute on shader cores. Meanwhile RTX GPUs use dedicated RT cores for better performance. "Game performance will vary based on the ray-traced effects and on the number of rays cast in the game, along with GPU model and game resolution," explained the green team. To help developers in their work of preparing raytraced games, Nvidia has introduced GameWorks RTX. Nvidia is making the open source GameWorks RTX code available as well as plugins for Unreal Engine 4.22 and Unity’s 2019.03 preview. Notable GameWorks RTX elements include; the RTX Denoiser SDK for fast real-time ray tracing (lowers the required ray count), and the Nsight for RT tool for DXR debugging and profiling. At GDC Nvidia debuted a number of games and experiences utilising real-time raytracing. It is showcasing the Control demo from Remedy Entertainment featuring ray-traced global illumination, reflections and shadows. Additionally, Dragonhound is Nexon's upcoming online action RPG monster battle game that will feature real-time raytraced reflections and shadows. Nvidia has re-energised the 1997 vintage Quake II with real-time raytracing effects in Vulkan. The new game demo was released in January as Q2VKPT – where the PT suffix stands for Path Tracing, a compute-intensive ray tracing technique that unifies all lighting effects. Quake II RTX is the first ray-traced game using Nvidia VKRay, a Vulkan extension that allows any developer using Vulkan to add ray-traced effects to their games. Holy….. they must have been sitting on this for ages in order to respond so quickly to the Vega56 demo. If I'd bought an RTX card I'd be utterly livid. Annnnd Nvidia, if you're reading this….. this is the kind of business practice that has me buying AMD. Looking around the web it seems people are being very quick to jump on some good old NVidia bashing, but taking a step back from all of that… to me it looks as if AMD's developments and this are actually good news for everyone. Those without RTX cards will now be able to play around with some basic ray tracing soon, and those with RTX cards are going to get better performance and/or visuals and a higher adoption within games going forward, I can also see ray tracing in consoles now and I dare say current RTX owners may be able to keep up with the next round of consoles for their first couple of years, which would kinda make people be able to justify the price of their early investment. Fingers crossed, it could simply be a positive situation for all (for once). Like a good ol' reacharound. That absolutely depends on whether games bother supporting the hardware features of Turing and whether the RT cores are useful for the software based stuff. If I was a developer, RT was now available to almost everyone and it required an extra effort to hardware accelerate it on the RTX cards which represents <1% of your audience, I'd just not going to bother, especially as the high end cards will have enough chooch to cope with the software based stuff quite happily. I think the Nvidia bashing is absolutely warranted. They insisted specialised, expensive hardware was required and not only was this not true, they'd obviously been working on their own software solution whilst telling us we needed to spend a fortune on their propriety hardware. I wonder how carefully they crafted their speeches at the release to avoid being sued. 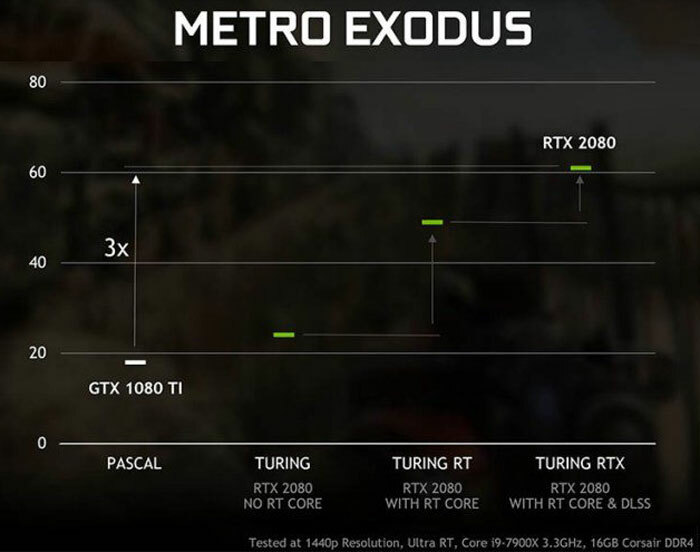 But you do need the hardware for playable performance with multiple complex ray traced effects, the 1080ti is only pulling 18 fps on metro exodus in 1440p and below 10fps in port royal benchmark, and that is being shared from NVidia themselves so is probably the best case scenario. This news does not mean pascal owners will be playing anything remotely near to what RTX cards are capable of and that RTX was a waste of time, on the contrary, it is going to show how bad the performance is on older cards but may allow AA and indy games to make use of it. Don't forget the AMD implementation is simple and light on hardware also, the Vega56 pulling 30fps at 4k could potentially mean 60+ fps for RTX cards, and even without RT core support, turing will still better that on shader cores so it is still only good news all round.